They survived the cold, sure enough, but dropped last weekend’s series at Iowa. Now, the Buckeyes take a revamped look to Penn State this week with a return to form in mind. 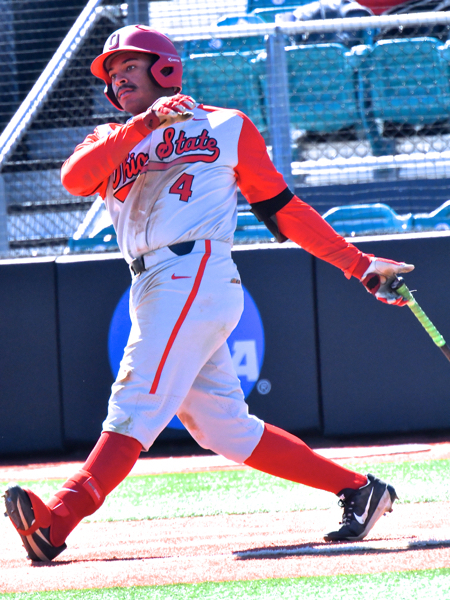 There was a time, and it was a short time ago, when the Buckeyes came roaring out of the Carolinas and into Big Ten play with a win streak, and a team batting average so robust that it atoned for any of the usual baseball mistakes. After all, baseball is a hard game to play perfectly. Just try hitting 95 miles per hour – try catching a batted ball at that same speed. It was a team that started out in February with a wary eye cast on its starting pitching. In particular, the weekend rotation of Connor Curlis, Ryan Feltner, and Adam Niemeyer. And it’s true that early outings were up and down, all except Curlis, who’s bolted out to a 5-1 record with an impressive 3.21 ERA. And it’s also true that in the past three weeks Feltner and Niemeyer have steadily joined that form. Feltner is 3-2, Niemeyer is 2-2, and both have earned run averages that are gradually shrinking. There’s never been any issue with the offense. At the mid-point of the season the Buckeyes lead the Big Ten in hitting with a team average of .300…and in a handful of other statistical categories. No, the issue with the now 20-10 Bucks has been their ability to catch the ball and throw people out – defense – and in particular, their infield defense. They rank last in the Big Ten in that stat, at about .954, and 269th nationally, out of 297 Division I teams. So in looking for ways to improve following the Iowa trip, Beals and staff flipped some positions in the infield prior to Tuesday’s non-con game with Ohio University, moving Conner Pohl from third to first…Noah McGowan from first to third…Kobie Foppe from shortstop to second base…inserted Noah West at shortstop…and Brady Cherry from second base to the team’s designated hitter. Freshman Dillon Dingler, one of the best pure athletes on the roster, got a start in center field. Noah McGowan leads the team with a .412 average, and hit his seventh home run last weekend against Iowa. The result? 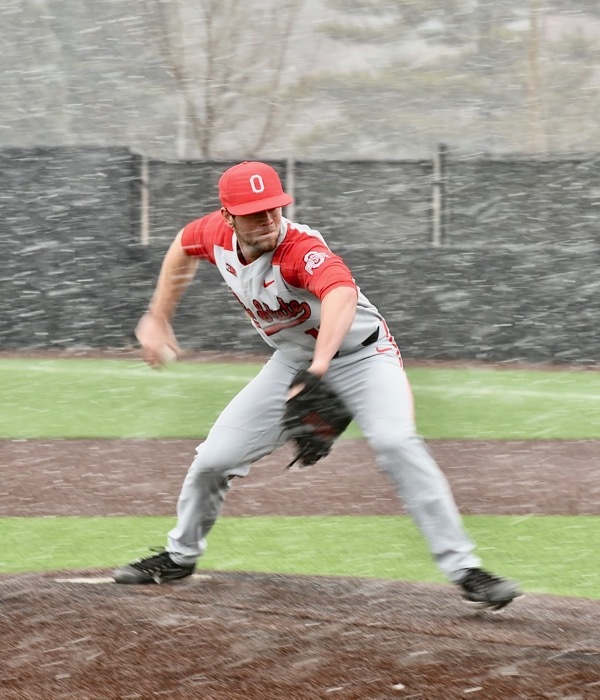 A 4-0 shutout behind sophomore Jake Vance’s best outing as a Buckeye (he’s 3-1), and error-free. But…too small a sample size to judge in terms of any long-term fix. They’ll get a better idea this weekend when they take the show on the road again…this time to Penn State. It’s a good time to play coach Rob Cooper’s Nittany Lions, a team that’s just 7-19 overall for the year, and 1-8 in the Big Ten. Last weekend they were swept by Minnesota, and with no kiss at the end. They were outscored in the three game series, 32-10. Ohio State is hitting .300 as a team. Penn State is hitting .212; and opposing teams are hitting .270 against them. 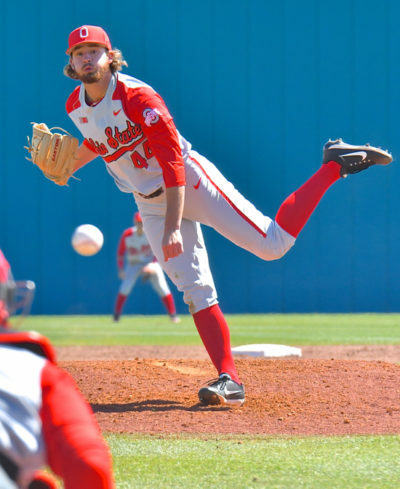 Pitching-wise, Ohio State enjoys a 3.94 team earned run average. Penn State is not enjoying its own 5.83 average under first-year pitching coach Josh Newman, an ex-Buckeye player and assistant coach. Connor Curlis ranks high in Big Ten pitching stats with a 5-1 record and 3.21 ERA. So, it’s an opportunity for the Buckeyes to get well, test the position changes, and improve in one vital area…their place in the Big Ten standings. Currently 3-3 in league play, they rank 8th, again with a small sample size…just the two series with Nebraska and Iowa. This could go very well, with the bangers at the top of the order all in form. Noah McGowan is leading the team at .412. Dom Canzone is hitting .372. Tyler Cowles owns a .366 mark. Kobie Foppe ranks fourth at .340. And Conner Pohl is hitting .333. Together they account for 18 home runs and 134 RBIs. As for the improvements that Beals has sought, that time is nigh – right now. Believe it or not, while it may still feel like winter the season is two games past the halfway point. The heavy lifting lies ahead, and it’s coming like a freight train. We’ll soon know as Beals knows…if the tweaks worked. Some good news in a matter of hours…the weekend weather forecast is temps in the 70s. Go out and see yourself some baseball, jacket-free! 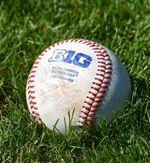 Phoenix is proud to sponsor coverage of Big Ten baseball on Press Pros Magazine.com.